Eight different types of sizes and colors all in one package. 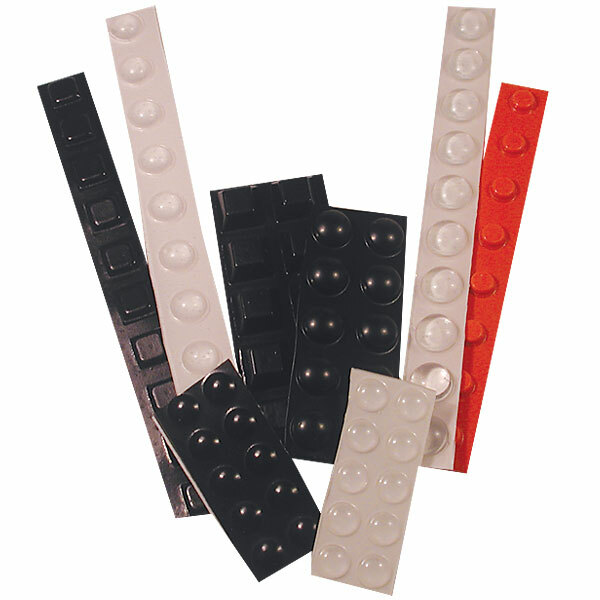 These Bump Dots allow a variety of uses from tactile marking of everyday items such as computer keyboards, telephone keypads, multiple switches and more...to adding 'feet' to vases and ceramic pieces. In homes or offices with both blind and sighted people, use the clear dots so the view of keypad displays isn't obscured. For those with low vision, use black dots on a white background (and vice versa) or the fluorescent orange dots on patterned or darker backgrounds. You'll have fun discovering all the clever uses these Bump Dots provide! 10 of each style for a total of 80 pieces. Convenient and our best way to save!